American Association of University Women (﻿AAUW) is a nationwide network of more than 170,000 members and donors, 1,000 branches and 800 college/university partners. AAUW is the nation’s leading voice promoting equity and education for women and girls. Since our founding in 1881, AAUW members have examined and taken positions on the fundamental issues of the day — educational, social, economic, and political. Our commitment to our mission is reflected in all aspects of our work. 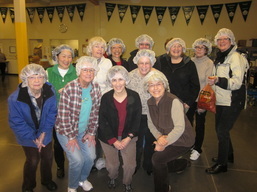 AAUW of Portland is an affiliate of the national organization and of AAUW of Oregon. With over 100 members, Portland Branch collaborates actively and effectively with community organizations and local colleges and universities toward our mission. Take a look at past and current activities of Portland Branch in pictures.